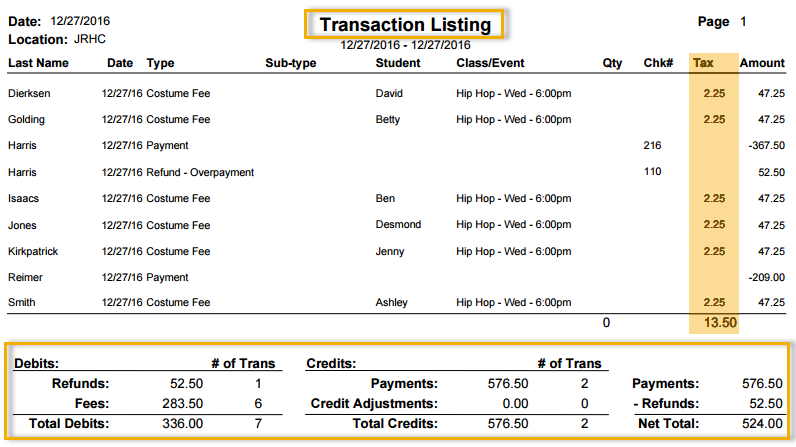 Located in the Transactions/Financials section of reports, the Transaction Listing Report provides a listing of transactions that can be filtered using various criteria including: location, family, class, category, and more. The report provides totals for debits, credits, and net payments (payments less refunds). These totals reconcile to all other revenue reports. Tax amounts are also listed and totaled in this report. Commonly, this report is used to provide information on the type of transactions that occurred during a specific date range. When looking for a specific transaction(s), the various search criteria allow you to fine tune your search. 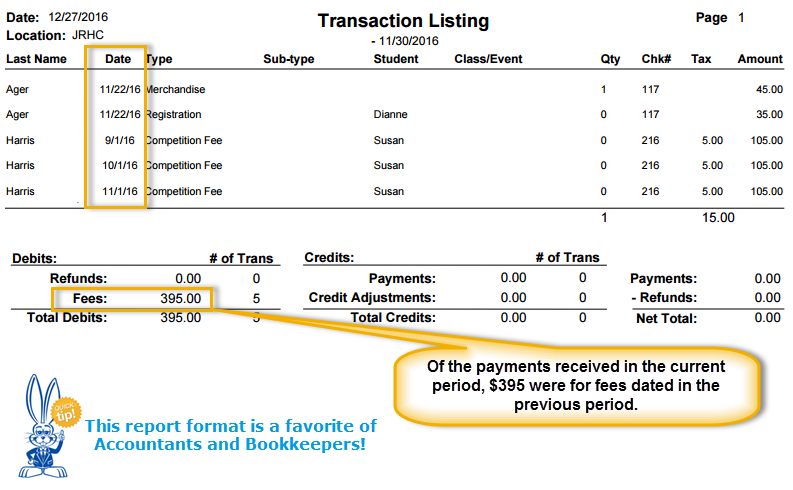 The Transaction Listing report can be viewed /saved to PDF, Excel, HTML, RTF, Text, and Tiff.